Building family well-being and maintaining it across a lifespan is one of the most powerful ways to create the opportunity for everyone to reach their potential and fully contribute to our communities. The Two-Generation (Two-Gen) approach builds well-being by working with families to support early childhood education, elementary education, economic stability, and family engagement. The policy and programmatic changes that support these interconnected and systemic efforts happen on a continuum, over time. 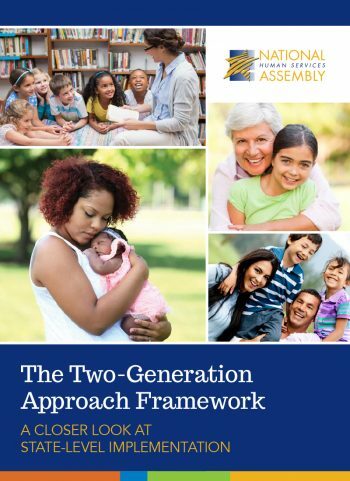 The Two-Gen approach begins with establishing a new mindset focused on family-centered program design, continues with the alignment of services across multiple organizations, and culminates in providing coordinated services to children and parents together, while tracking family outcomes over the long term. Below are some of the other resources to learn more about Two-Gen.